We’re very excited to announce that Inchoo has just leveled up to a Google Premier Partner status, which placed us among the top trustworthy PPC experts in the world in the eyes of the almighty Google. How did we deserve it? Well, with Google, You can never be certain, but there are a few key factors that could be the reason for this exciting upgrade. Here’s our short story on becoming a Google Premier Partner. Our team demonstrated a great knowledge on Adwords by passing the Certification exams. We have not one, not two, but 29 individual certificates! Passing the certifications didn’t immediately make us PPC experts, but it certainly pushed us in the right direction. We kept improving by implementing the knowledge we learned through the certifications along with testing the new features and principles to provide our clients with top quality service and great results. 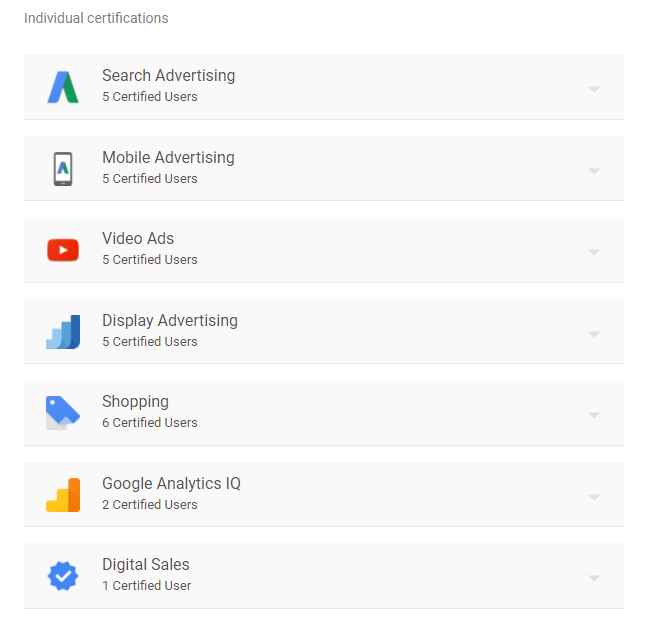 To achieve a Google Premier Partner status, it isn’t enough to pass the certification exams. It’s also necessary to have a higher Adwords spend along with excellent performance, which means that you can become Google Premier Partner only if you continuously manage successful campaigns with a focus on results. From the moment this client’s PPC got into Inchoers hands, his revenue has grown by 582.09%, while we managed to decrease the average CPC by 83.13% (compared to the same period last year). That’s what we call a successful campaign. Becoming Google Premier Partner wasn’t quick nor easy, but when hard work and the Force (if the Force is a combination of experience, knowledge, and commitment) unite, everything is possible. We want to thank all of our clients who trusted us on managing their PPC campaigns because achieving this status wouldn’t be possible without them. Thank you all! If you believe your AdWords campaigns could use some professional help, make sure you check out our AdWords services and feel free to leave a note down below.